If you've planned a wedding or are in the process of planning one yourself (I'm raising my hand, here!) 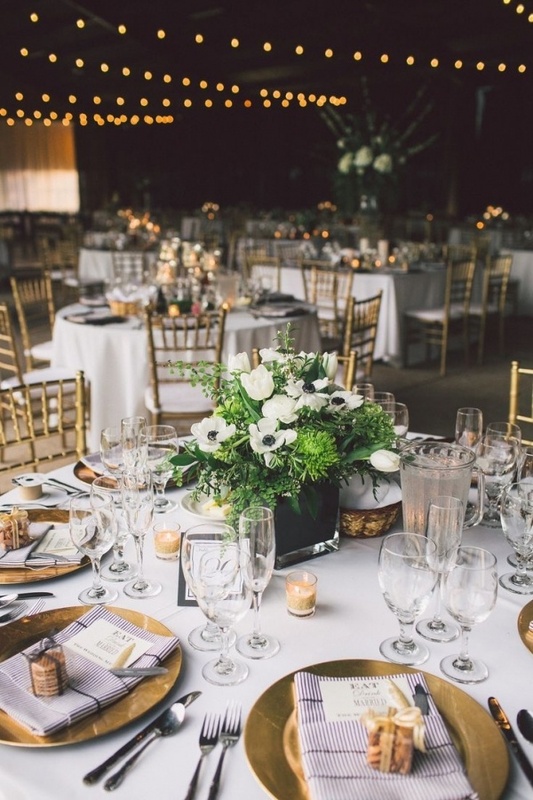 you know that the wedding decor ideas and styling concepts don't just create themselves. While creating the style and decor ideas for your wedding sounds fun, it does take a lot of effort and expertise to come up with something that is both stunning and realistic! However, a wedding is your dream day, and that means that dreams come true...right? Right. That means having a big day with a ceremony and reception styled to your vision, and today we're looking at the most gorgeous and jaw dropping wedding decor ideas and styling concepts that we've seen in 2014. From extravagant outdoor soirees to simple ceremonies and fun DIY details, you're sure to swoon and be majorly inspired by these real weddings. Read on to see the best of the best from this past year! This wedding defined modern garden party, with tons of florals freshened up by a bold tablecloth pattern and pops of gold. 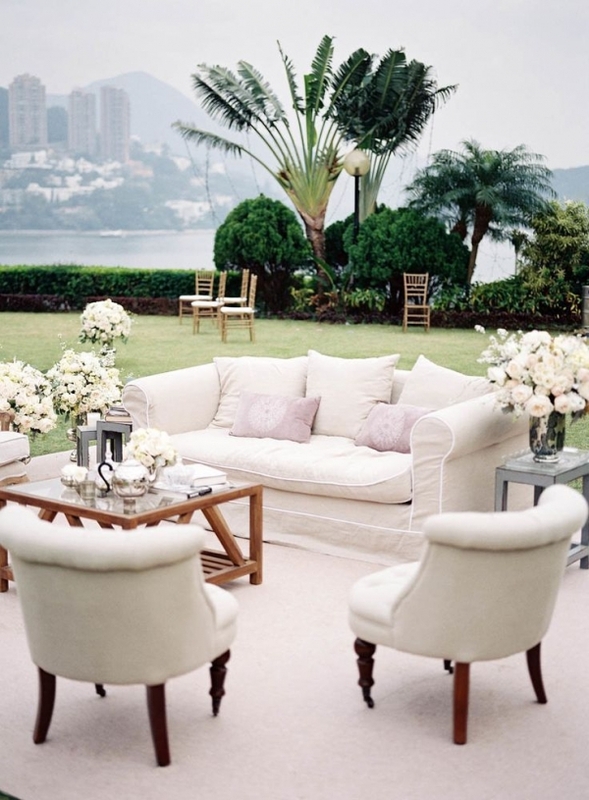 Note to self: this outdoor wedding decor is PERFECT for a destination wedding, or really any wedding looking for a romantic and cozy vibe. If the weddings below don't define extravagant elegance, I'm not sure what does! This wedding broke tradition by amping up the color and incorporating tons of pinks and purples...and the result is magical! 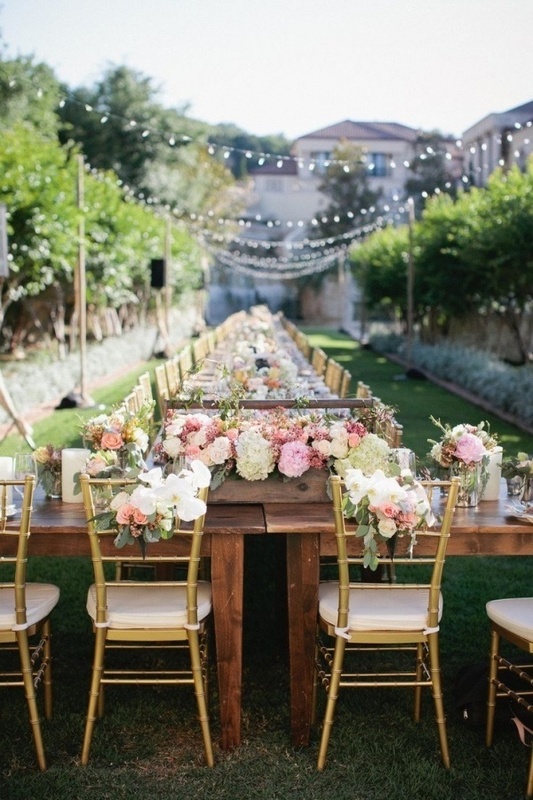 The weddings below are sophisticated, earthy, and pretty. 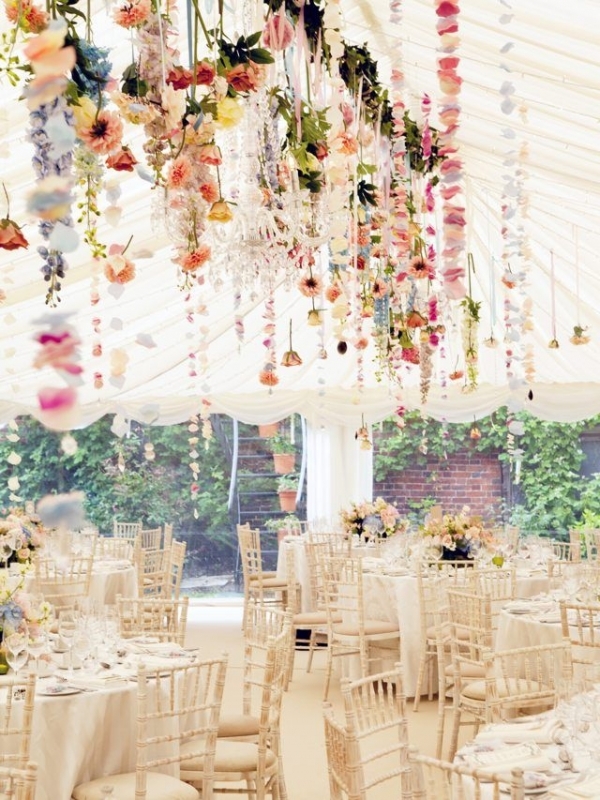 Just the type of wedding any bride would dream of! 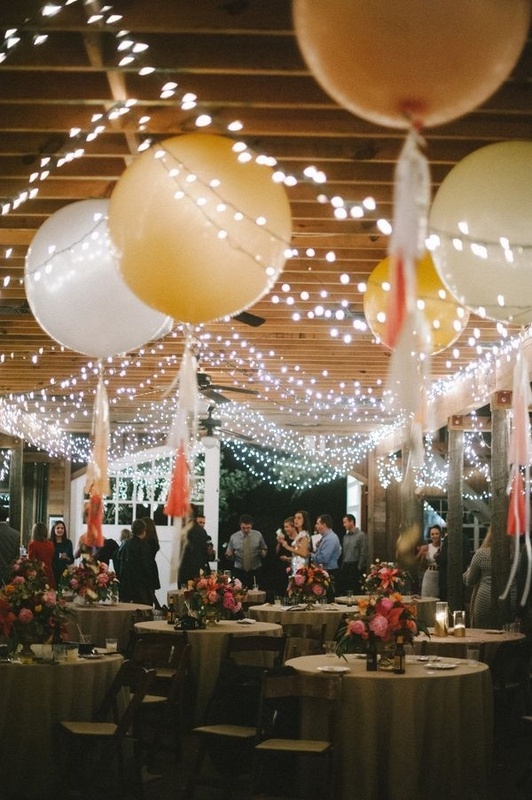 What's more fun than a wedding reception filled with oversized balloons and whimsical lights? Answer: nothing, really! 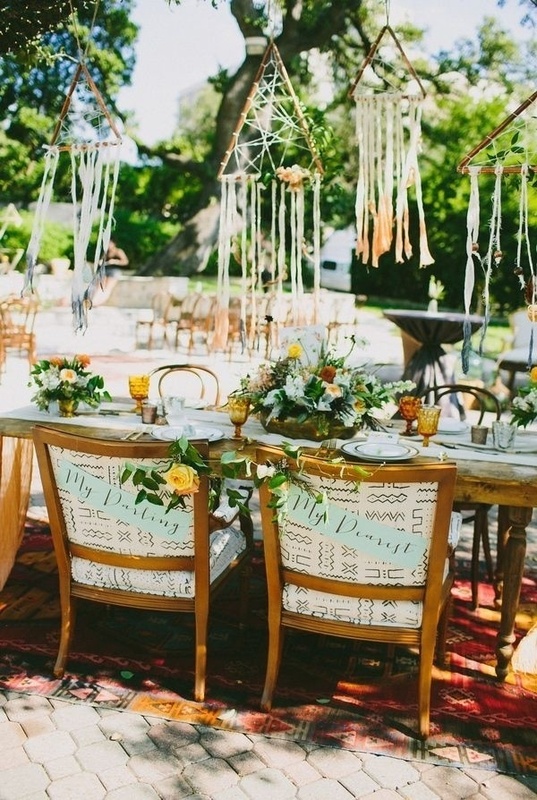 This wedding reception is completely unique, with sweet southwestern patterns and details that surprise and delight. 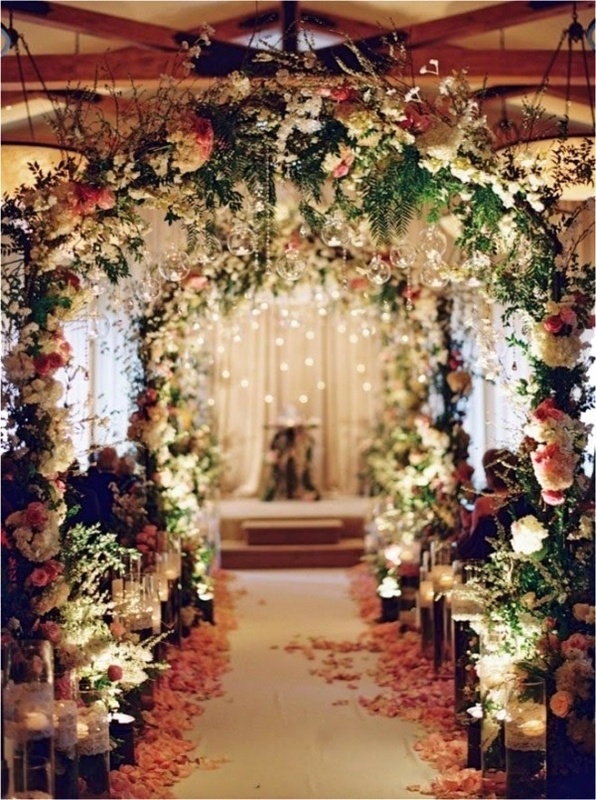 And for the final amazing wedding decor idea...this stunning ceremony backdrop. Not only do the letters make quite the statement, it perfectly frames the picturesque harbor behind it. 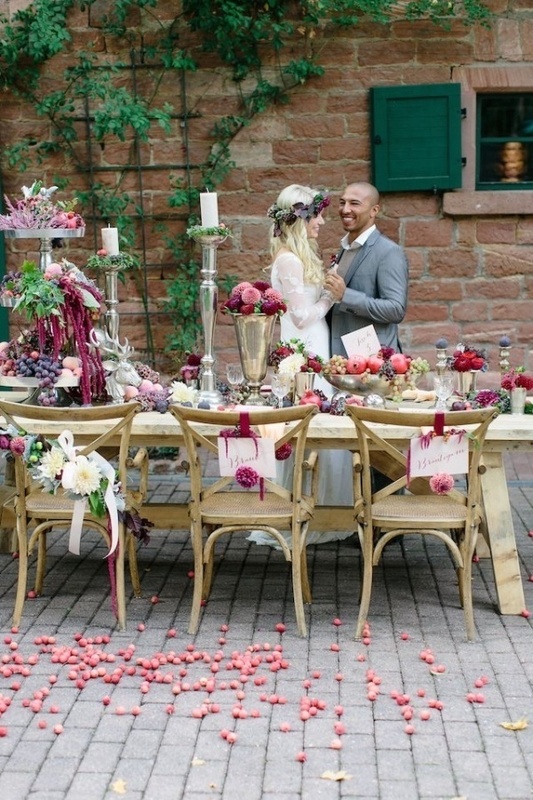 Well, that was pretty much wedding styling perfection, wasn't it brides? I'm completely swooning over every single one of them, but I think my very favorite has to be the modern garden party. What do you think? Pin your favorite idea and let us know what your wedding style will look like in the comments!